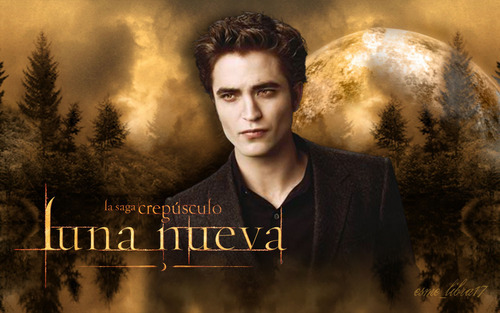 luna Nueva - 壁纸 made 由 me - edward cullen. . HD Wallpaper and background images in the 暮光之城系列 club tagged: new moon cullens volturi. This 暮光之城系列 wallpaper might contain 商务套装, 西装, 标志, 海报, 文字, 黑板, and 文本.